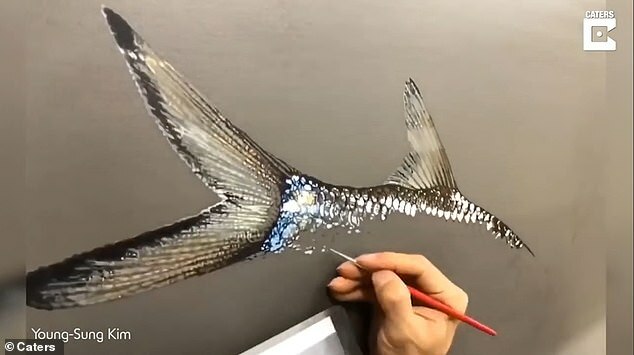 An artist who specialises in 3D art has created a series of epic hyper-realistic paintings of fish and reptiles. Incredibly, the artist spends up to 10 months on each masterpiece. 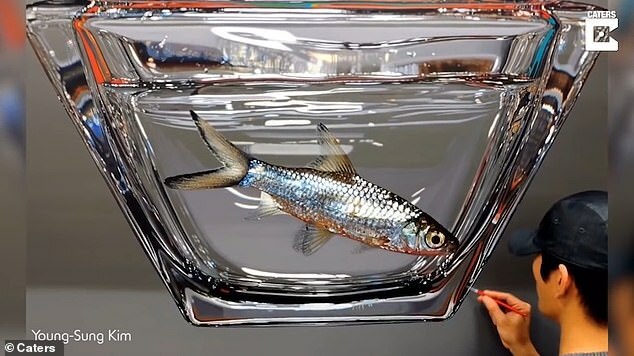 Hy Young-Sung Kim, 45, from Korea, first took up art in 1993 and continues to shock people with his oil paintings. Kim said which viewers often mistake his work for photography. Each painting, which is usually inspired by nature or city life, takes him three to 10 months to complete. Hy said: ‘I shock the people with my art, often people will say ‘wow that’s not a photo,’ when they realise I’ve painted the image. ‘It takes between three to 10 months to complete one piece of artwork. Hy Young-Sung Kim graduated from Department of Painting, College of Fine Art, Hongik University in Seoul, South Korea, in 1997. Hongik University is widely regarded as the best architecture and art school in Korea. 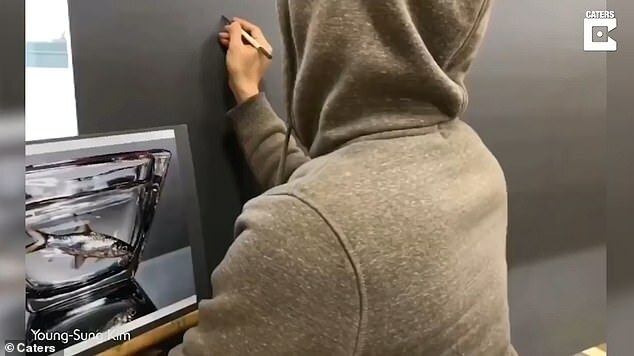 According to a profile of Kim on PlusOneGallery.com: ‘Through his paintings, Young Sung Kim visually critiques the level at which we place “value” on objects both commercially and ethically. His paintings range in price from £17,000 – £34,000.